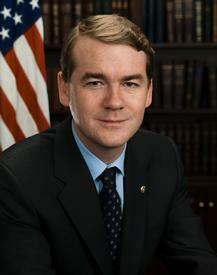 Whoever ends up challenging U.S. Sen. Michael Bennet in 2016 got some good news this morning. According to the latest campaign finance filings, the fundraising juggernaut appears to be not so hot. The former DSCC [Democrat Senatorial Campaign Committee] chairman begins the election cycle with $1.2 million, not a huge sum as he heads into what could be a tough and expensive reelection in another presidential swing state. Like Reid, Bennet’s focus last year was on helping his colleagues, and he has a deep fundraising network to draw from following his time at the DSCC. But he’ll need to start ramping up for his own efforts if he wants to start his race with a cash edge. Fundraising has always been Bennet’s biggest only strength. He’s terrible at retail politics and campaigning. Despite his reputation as “the smartest man in the room,” he isn’t a good public speaker or debater, and what good are good ideas if you don’t know how to properly communicate them? Not to mention, his nasally east coast voice is also a huge to turn off to every-day-Coloradans. Literally, the one thing Bennet always had going for him was that, as a member of the country’s political elite, he could raise massive amounts of cash with little effort. After all, it’s always easier to raise money when you’re rich and all your friends are rich. It is for those reasons that this latest fundraising report is especially devastating and highlights how especially vulnerable Bennet is in 2016. To put this into perspective, Bennet is about $4 million short of where he needs to be at this point in the game as the incumbent Senator in a battleground state going into a presidential election cycle. Disgraced former U.S. Sen. Mark Udall had about $5 million cash on hand when Cory Gardner entered the race, and we all saw how that turned out. Sure, Bennet has time to catch up. However, we’re betting big Dem donors won’t be champing at the bit to fork over more cash to the guy who lost nine Senate seats to the GOP.